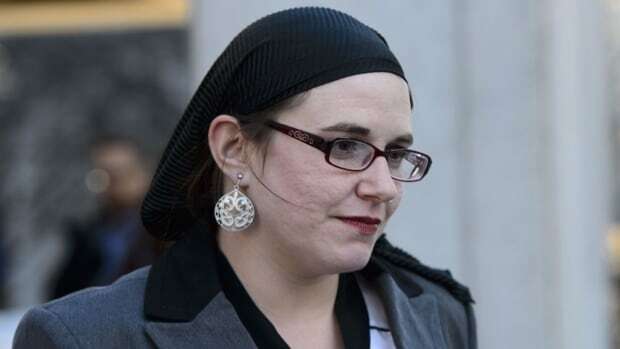 Former hostage Caitlan Coleman’s cross-examination has been put on hold while lawyers deal with a number of procedural issues that could impact future questioning. Her estranged husband, Joshua Boyle, 35, has pleaded not guilty in provincial court in Ottawa to 19 charges, including assault with a weapon, sexual assault and forcible confinement. Coleman, 33, an American, is the alleged victim in 17 of the charges Boyle faces. Judge Peter Doody advised Coleman that she can return home to the United States for the time being but invoked a witness exclusion order. He told Coleman that she’s not allowed to talk about the evidence she gave, or will give, to any other witness or potential witness in this case until the trial is complete. Doody said Coleman will be able to continue her cross-examination via video link from the U.S. The break in Coleman’s cross-examination will allow lawyers to deal with a number of procedural issues that could impact what questions the defence can ask Coleman. Earlier in the day, defence lawyer Lawrence Greenspon questioned Coleman about her involvement with a list of rules brought up earlier in the trial. Coleman responded by saying she tried to adhere to the list but that by Dec. 27, 2017, she had not followed every rule. Earlier in the day, Greenspon questioned Coleman about an alleged assault that took place on Dec. 10, 2017, where she testified that Boyle hit her multiple times in the face. Greenspon asked Coleman about the night of Dec. 30, 2017, when she did leave the apartment. She said the turning point for her was when Boyle punched her on the side of the face quite hard and possibly slapped her. Coleman told the court that when she decided to leave she left through the back door of the apartment in a hurry taking her passport and their children’s passports with her. Greenspon questioned Coleman about why she took the passports and suggested that she took them so she could take the children with her to her mother’s house in Pennsylvania. Coleman said that wasn’t the case, but that she took them to prevent Boyle from taking the children somewhere with him. Greenspon asked if Coleman told her mother during a brief phone call that she had the passports.